The Genesis Prize Foundation announced today that the award-winning actress Dame Helen Mirren will emcee the 2016 Genesis Prize award ceremony, which will take place on June 23 in Jerusalem. Prime Minister of Israel Benjamin Netanyahu will present the 2016 Genesis Prize to the acclaimed violinist, educator and advocate for individuals with disabilities, Itzhak Perlman. The Genesis Prize is a $1 million annual award given to individuals who have achieved extraordinary professional success, have made a significant contribution to humanity, and inspire others through their engagement and dedication to the Jewish community and the State of Israel. The inaugural Genesis Prize – dubbed by Time magazine as “The Jewish Nobel” – was awarded in 2014 to one of the world’s leading philanthropists and public servants, New York Mayor Michael Bloomberg. 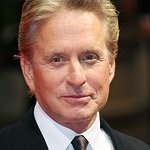 Academy-award winning actor, producer and peace activist Michael Douglas received this prestigious award in 2015. Genesis Prize laureates have traditionally re-gifted their $1 million awards to charitable causes of their choosing. The 16-time Grammy Award winning violinist, Perlman has been recognized numerous times for his contributions to music and humanity. On November 25, 2015, President Barak Obama awarded him the Presidential Medal of Freedom, and two other US presidents – Ronald Reagan and Bill Clinton – recognized Perlman with the Medal of Liberty and the National Medal of Arts in 1986 and 2000, respectively. Shortly after being selected as the 2016 Genesis Prize Laureate, Perlman announced that he would direct his $1 million award to philanthropic projects in the fields of music and support for individuals with special needs. Dame Mirren has had an illustrious acting career, spanning almost fifty years since her first performance in 1967 with the Royal Shakespeare Company. She has achieved the “Triple Crown of Acting,” having won an Academy Award for Best Actress for her portrayal of Queen Elizabeth II in The Queen in 2007, a Tony Award for Best Actress in a Play, again for her portrayal of Elizabeth II in The Audience in 2015, and has received four Emmy Awards and six nominations. Most recently, she co-starred in Trumbo, acted in the lead role in Eye in the Sky, and is currently filming Collateral Beauty. Dame Mirren has amassed numerous other awards and recognitions, most prominently her appointment as a Dame Commander of the Order of the British Empire for Services to the Performing Arts. Helen Mirren has visited Israel on several occasions; the first time in 1967 when she worked on a Kibbutz, and has often spoken out in support of the Jewish State. She has played a former Mossad agent in the Debt, and in Woman in Gold, performed the role of Maria Altmann, an elderly Jewish refugee living in the US, who fought the government of Austria for almost a decade to reclaim Gustav Klimt’s iconic painting, which was stolen from her relatives by the Nazis just prior to World War II. While being honored at the Israel Film Festival in Los Angeles in October 2015 with the Career Achievement Award, she spoke out against cultural boycotts of Israel. In March 2016, The Algemeiner named Dame Mirren among the Top 100 People Positively Influencing Jewish Life. In addition to participating as host of the Genesis Prize award ceremony, Dame Mirren will be a featured guest at a program at the Jerusalem Cinemateque, where she will speak about her craft. The Cinemateque will also run a retrospective of Mirren’s films during the week of June 20th.